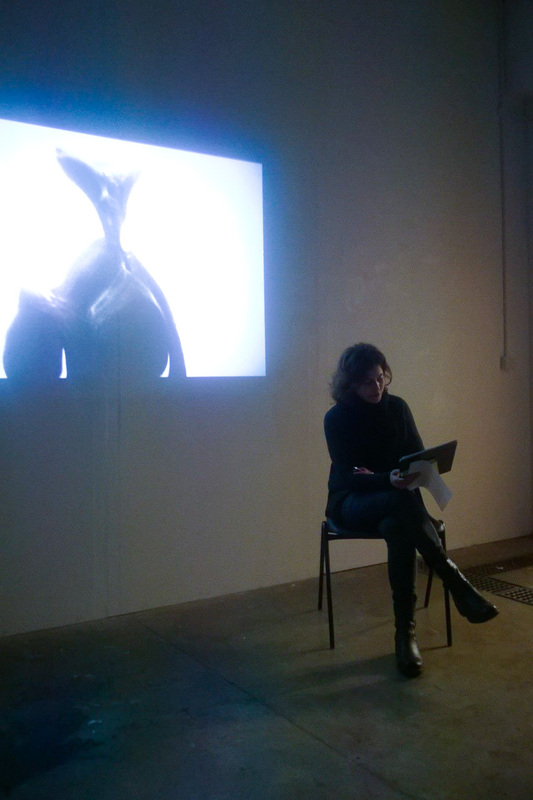 Suzanne Caines presented a reading set against a projected photograph, titled Crystal Crescent. The text read by the artist mentioned a protagonist who had worked hard to put herself through graduate education, but avoided a linear narrative structure. The presentation was very moving, and the conversation began with discussion of the live/reading format, and how the photographic backdrop (which also served as lighting for the reader) affected this. 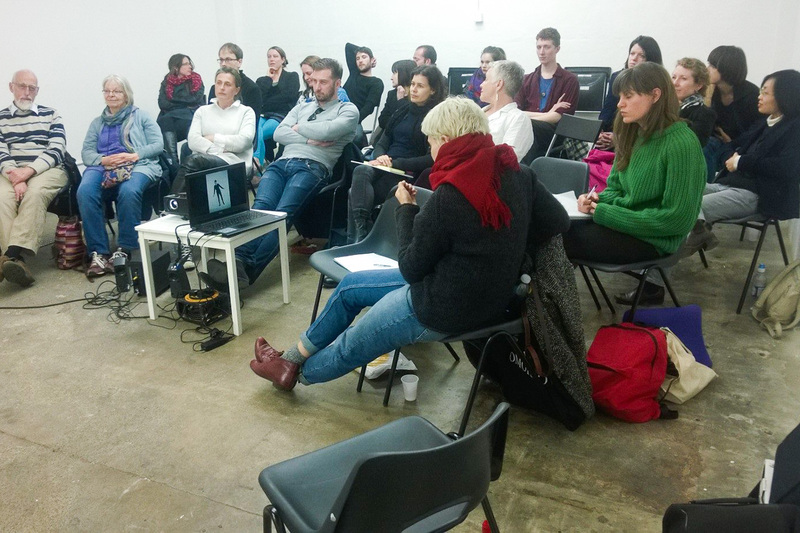 The notions of artists' labour and (art) education as a commodity were also raised. Natalie Sanders showed 3 short films which used simple animation techniques to allow objects to “float" across the screen. The selection of objects and their significance was discussed in terms of the imagery of advertising and visual communication.